THE INFIORATE OF SPELLO – THE NIGHT OF FLOWERS: LET INEBRIATE YOUR SENSES. Please click on the PICS for further informations! The Infiorate were a simple proof of devotion. The faithfuls, on the occasion of Corpus Christi, used to decorate, with flowers and herbs, the floor of the streets where the procession would pass. In Spello this tradition has reached a sublime technical and artistic level. Every year the event surpasses itself, for commitment, magic, quality and quantity of the carpets. All this thanks to the work, the passion and the competition between the groups. An added value is that a realization so ephemeral as an Infiorata (which lasts few hours), involves constant work and commitment throughout the year and, of course, it becomes more and more intense during the months close to the event . The road that runs along the Nera Valley is, in my opinion, a monument by itself, flanked by green wooded mountains dotted with the ruins of medieval towers, through which, many years ago, the lookouts would intercept our passage. On one of these mountains, the Monte Solenne, lies the splendid complex of the abbey of San Pietro in Valle, a Benedictine monastery of the twelfth century, breathtaking for majesty and charm: the man’s work is set in a lush nature. 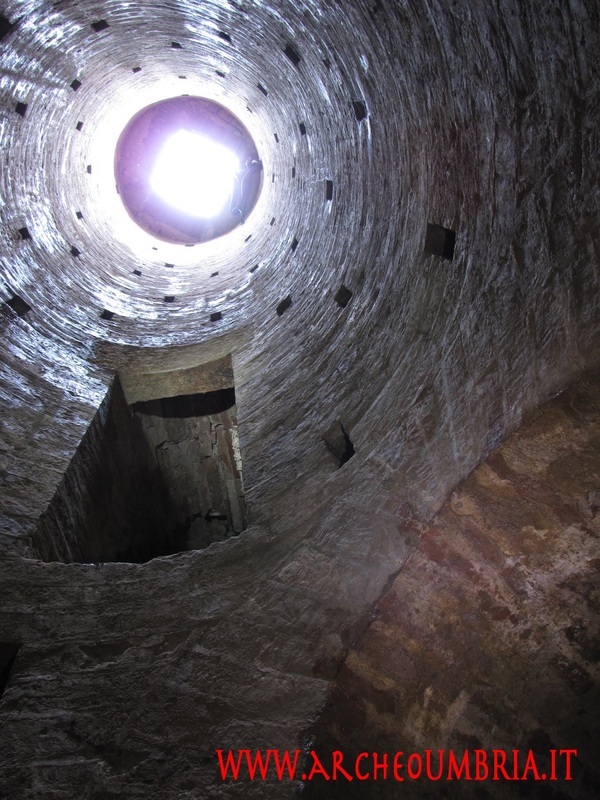 Three cave complexes can be visited in Orvieto, very different one from the other: the famous St. Patrick’s Well , the Mill of Santa Chiara and the Pozzo della Cava. The cliff of Orvieto, hides an endless series of caves and tunnels (1204 are the explored ones) excavated along 28 centuries of history; that’s why the Pozzo della Cava is so amazing and particular, here we can admire a series of artificial cavities of very different eras, from the Etruscans to the Renaissance. It is located in the medieval quarter of Orvieto. As it was impossible to expand the city due to the particular shape of the cliff, the inhabitants were forced to transform and readapt the underground cellars, according to their actual needs; that explains the constant changes and transformations of the cavities. 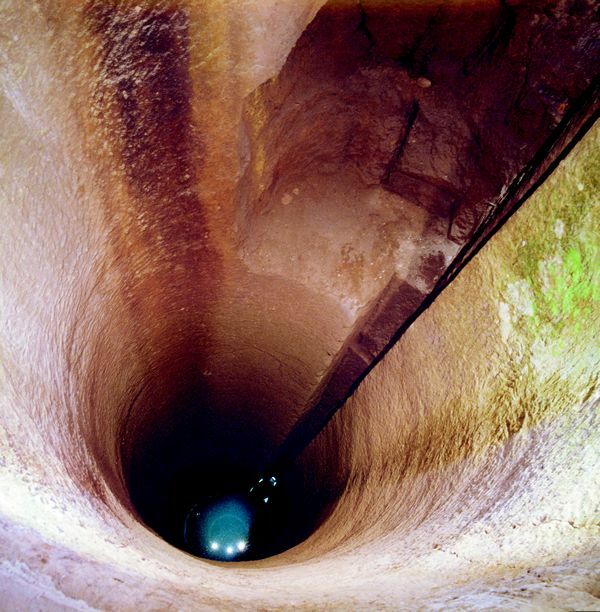 The water supply in case of siege was the need that caused the creation of several wells, the first to be realized was the Pozzo della Cava. The “Vaselle d’autore” idea was born in front of a glass of good wine, between Master Nino Caruso and the former mayor of Torgiano, in order to create a reality linked to the territory and its excellence. Torgiano which is linked to the wine by ancient tradition and the presence of fine cellars and a dedicated museum. The initial idea was to create it functional, trying to influence and “rejuvenate” the local artisans production. This concept was then further developed by Caruso, who decided to invite artists from different disciplines, even if the first experience with ceramics, but, for this reason, potential bearers of ideas and suggestions always new and different. Monte Castello Vibio, a small village that has preserved its medieval shape, holds within itself a place so special and unique. But is it really the smallest theater in the world? The challenge is open with the theater of Vetriano near Lucca, which is registered to Guinness, but in this case it is not a space created as a theater, but a nineteenth century building, conceived for other use, then converted to a meeting place in which it was made a theater. The Concordia Theatre (then called “establishment”). It was founded by 9 upper-class families of Monte Castello in the early 1800s as a private place, which could be accessed only by invitation of the owners. After about 40 years of total neglect, in 1993 the theater came back to life, that was the realization of the dream of a child, whose portrait can be seen in the only vintage photo of the theater dated 1929: the child’s name was Nello Latini. That child, who was allowed to enter to watch a puppet show on the day of the Epiphany, fell in love with the Concordia Theater and loved it until the last day of his life. 75 year old in 1993, in possession of the theater keys, he began to open it to tourists and the curious, and show the theater returned to its former glory, giving way to the activity that is currently the major source of livelihood for the association: the theater guided tours . He used to make such as theater stamps reducing the image and cutting the borders, and in 2002 , with the approval of the then President Ciampi, the stamp with the effigy of the Concordia Theatre in Monte Castello was issued. Another dream came true. 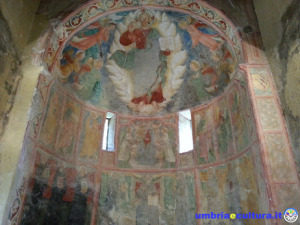 I could talk about the frescoes made by the Agrettis, father and son (14 years old! ), the perfect acoustics thanks to the wood that covers the ceiling, or the particular atmosphere that you breathe, but I wish that everyone discovers it, lives it, visiting and becoming a friend of the theater and helping it to grow. Volunteers welcome visitors, and always with renewed enthusiasm, tell the history, stories and lives, linked to this magical heritage of Monte Castello and all of us. Every time we look at the heritage of our past, we know, we retrace deeds and stories of men. But what is very fascinating in Narni Underground is that these men have a name and a surname, and wait for us to tell us their story. Narnia , which takes its name from the river Nera (Naar, river) that flows at its bottom, is a city of charm, rich in history and architectural and artistic treasures, its complex morphology makes it extremely attractive for the beauty you can enjoy turning every corner. 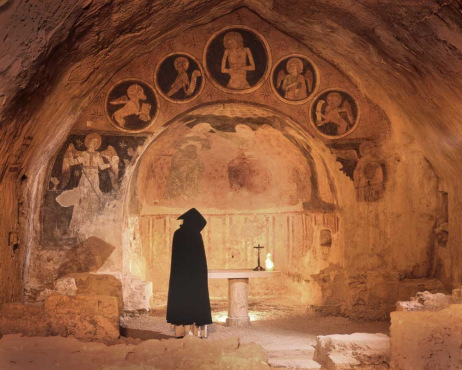 We go inside the Dominican Monastery , the seat of the Holy Office in Narni , which was destroyed during the Second World War and its memory, apparently, faded very soon. Civitella del Lago is a charming medieval town perfectly preserved. Walking inside the castle walls, between narrow streets and elegant Renaissance palaces, where car access is prevented by the morphology of the place, the atmosphere is timeless . The good location, on top of a hill, gives visitors breathtaking views over the Tiber River and Corbara Lake, and the eye can range, on clear days, up to the mountains of Lazio and Tuscany . 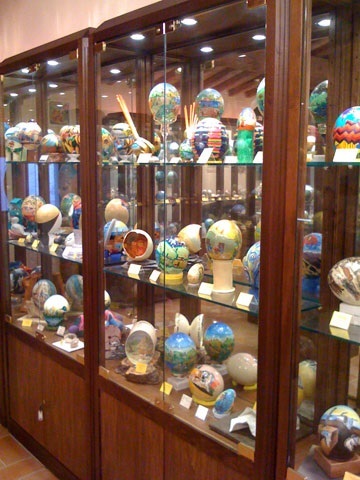 But not only the charm of the intact old town and the beautiful scenery are the gems that adorn Civitella : inside houses a unique museum : the Ovo Pinto Museum. Among olive groves and pine trees, inside the Parco della Piana, a pleasant green area close to the town of Todi, lies the charming Fontana dei Bottini. Delicious in its simplicity and in its functions, with less than 150 years of life, the fountain tells us of a simple peasant life that seems so far away in time. 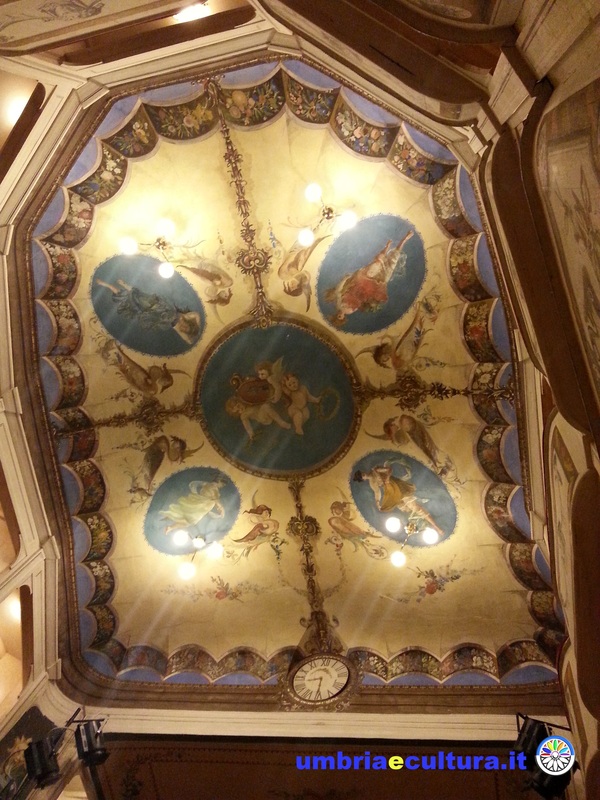 Built in 1872 , it is called “dei Bottini” because it is supplied by small galleries by barrel vaults called Bottini. It consists of three basins, with different functions: one for the watering of animals and two for cloths washing, one for soaping and one for rinsing. This fountain was, and is, fed by water drained from the galleries to be visited . 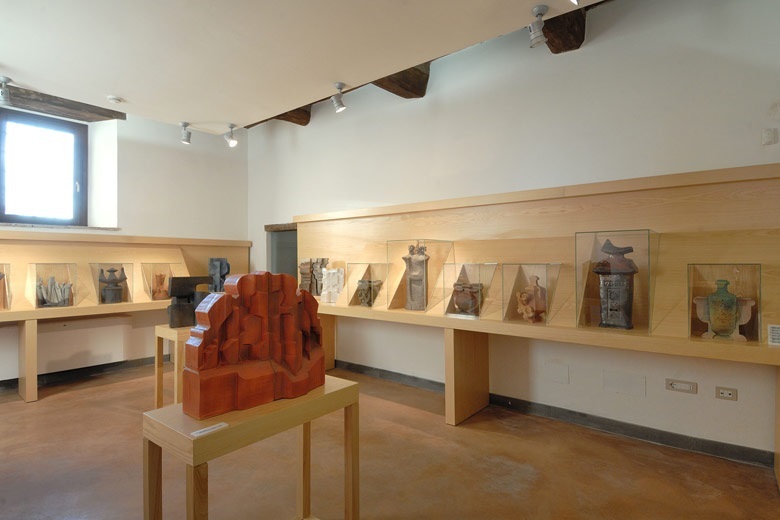 The nineteenth-century galleries are fully accessible even to the people less accustomed to this kind of experience, passable on foot and in extreme safety . 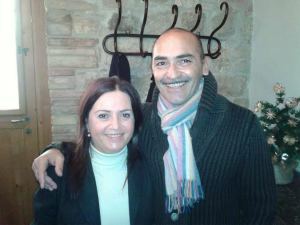 I come into the shop – workshop – museum “Antica Fornace” of Deruta, immediately greeted by the founder, Mr. Francesco Baiano. 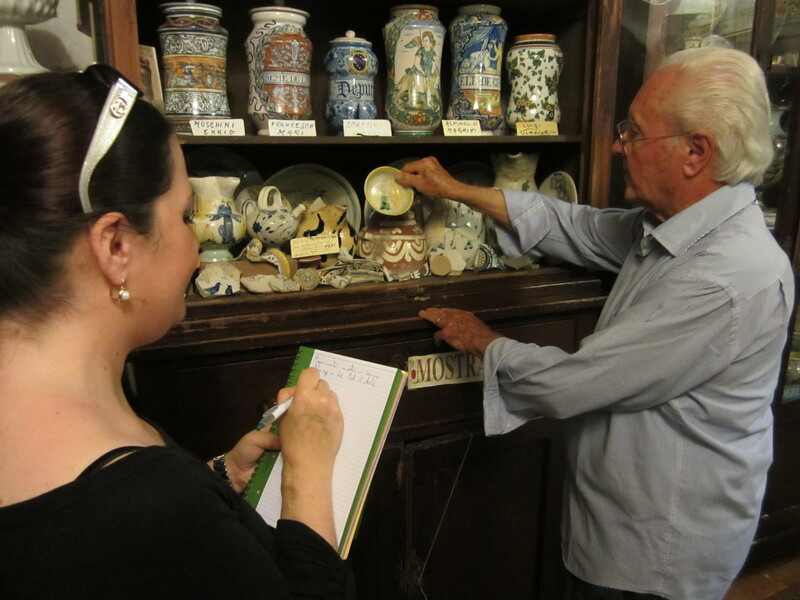 He accompanies me, with courtesy and enthusiasm, on a visit through his collection of ceramics, an astounding collection of pottery and ceramic production in Deruta from 1400 to the present.